As the Christmas season comes to a close, I wanted to post one more holiday picture. 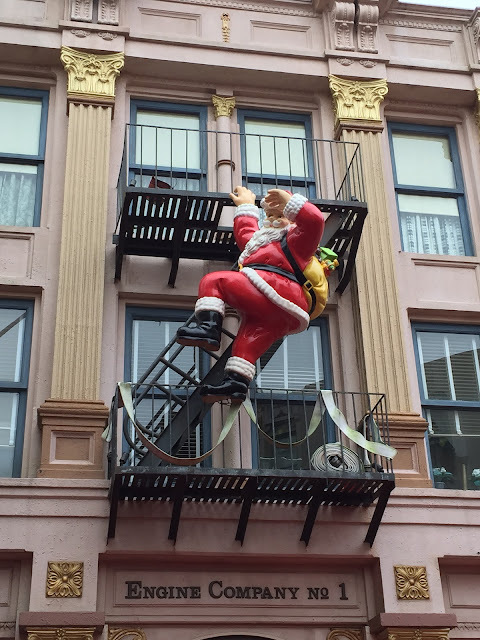 This Santa figure is on a fire escape in the area between Pizza Planet and Mama Melrose in Hollywood Studios. 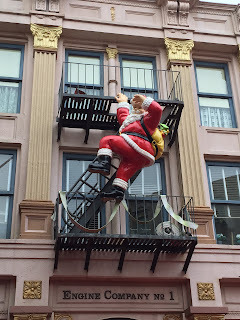 There is also a year round Christmas shop in that area. It won't be long before all of the decorations are down and we are looking forward to next year.